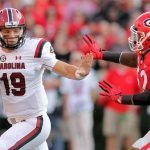 The College Playoff Rankings are expected to show two new schools for the four-team postseason to determine the champion after Georgia and Notre Dame were upset over the weekend. Georgia, who was No. 1, lost badly to Auburn on the road, 40-17. They were 2 1/2-point favorites. Notre Dame was a 3 1/2-point pick to beat Miami and got blown out, 41-8 in South Florida. Alabama, who was the preseason No. 1 pick, almost was the third of the four top teams to lose. 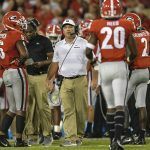 They traveled to Mississippi State and were laying 14 points against the Bulldogs and needed a last-minute touchdown to escape with a 31-24 victory. The No. 4 team in the rankings, Clemson, was a 16 ½-point choice at home against Florida State and breezed to a 31-14 win. Two other teams that were hoping to crack the top 4 if others ahead of them faltered lost and were knocked out of any chance of getting into the playoffs. Texas Christian University had the toughest test of the weekend. They traveled to No. 5 Oklahoma and despite getting six points could not cover, losing, 38-20. Washington, the highest ranked team in the Pac 12 at No. 9, fell 30-22 to Stanford, despite being a seven-point favorite. If the AP Top 25 poll is any indication there will be some serious movement when the college rankings are released Tuesday evening. Alabama moved from No. 2 to the top spot in the AP poll and is expected to do the same in the rankings. The Crimson Tide opened the season at 3-1 to win the championship and the latest odds have them at 10-11. 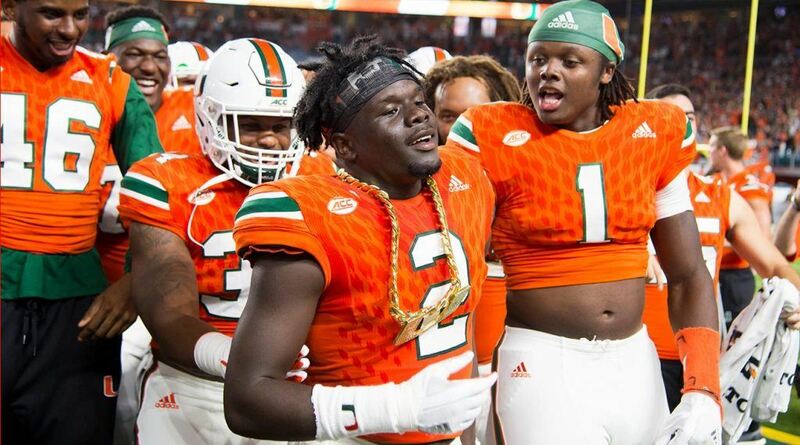 The biggest move was by Miami after they decimated the Fighting Irish on Saturday. They moved up from No. 9 to No. 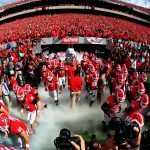 2 in the AP poll and will be the favorite to be in that spot for the rankings. They began the year as a 30-1 pick to win it all and are now down to 8-1. Oklahoma leaped over Clemson in the poll to go from No. 5 to No. 3 and could do the same in the rankings. 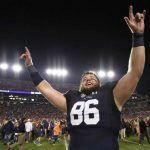 The defending champion Tigers, however, have played a strong schedule and might hold on to the third spot in the CFP rankings. The Sooners are 4-1 to win the NCAA Championship and Clemson is 8-1. The one team that believes they should be in the discussion is the undefeated Wisconsin Badgers. They are 10-0 and one of only three remaining teams without a loss, but are hurt by a relatively weak list of opponents. It is possible they could finish the year 12-0 and be left out of the four teams that will play for the title. Another team that wants in is Auburn and after handling the former No. 1 Bulldogs might have a case for inclusion. The Tigers one loss to Clemson might be the reason they don’t make the playoffs.